Phoenix police told CNN affiliate KTVK the firetruck was on its way to a fire structure nearby when it collided with a pickup truck around 9:15 am. local time. The truck had its lights and sirens on, Sgt. Vince Lewis told KTVK. 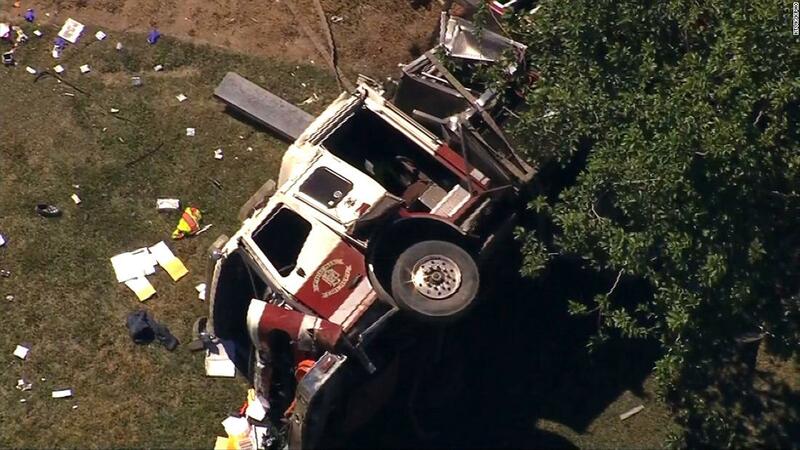 Three firefighters were taken to the hospital in critical condition, the station reported. By Sunday afternoon they were in stable condition. Footage from the scene showed the firetruck on its side and the other vehicle with front-end damage.